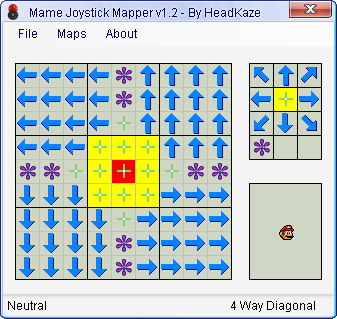 This is a Mame joystick map editor. Loads/Saves Mame ini files that can specify a control map for specific games. Some example ini files included. Save the ini files to the Mame's ini folder (create an ini folder if it's not there). Name the file [ROM].ini.